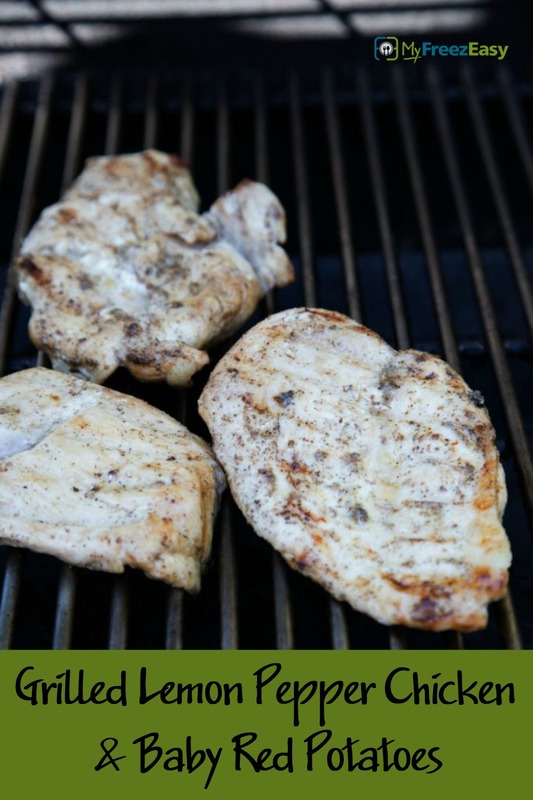 The lemon juice does such an amazing job of tenderizing the chicken (the acidity actually breaks down the chicken to literally soften it), and infusing it’s citrus-y flavor goodness deep into the chicken. The result is perfectly grilled chicken! In small bowl, whisk ¼ cup olive oil and lemon juice. Add in the pepper and a few dashes of salt. Add the lightly pounded chicken breasts and toss well in the marinade. *Let marinate for at least 30 minutes in the fridge, tossing every 10 minutes. While the chicken is grilling, grill the baby red potatoes for a few minutes over indirect heat. Then pull them off the grill and press them gently with a measuring cup or other flat utensil to “smash” them open. Return to the grill and drizzle with 2 Tbsp olive oil and sprinkle with salt and pepper. Continue grilling until softened in the middle. Lightly pound and flatten 4 chicken breasts. Whisk together 1/2 cup olive oil, 1/2 cup lemon juice, 2 tsp pepper and a few pinches of salt. Thaw completely. 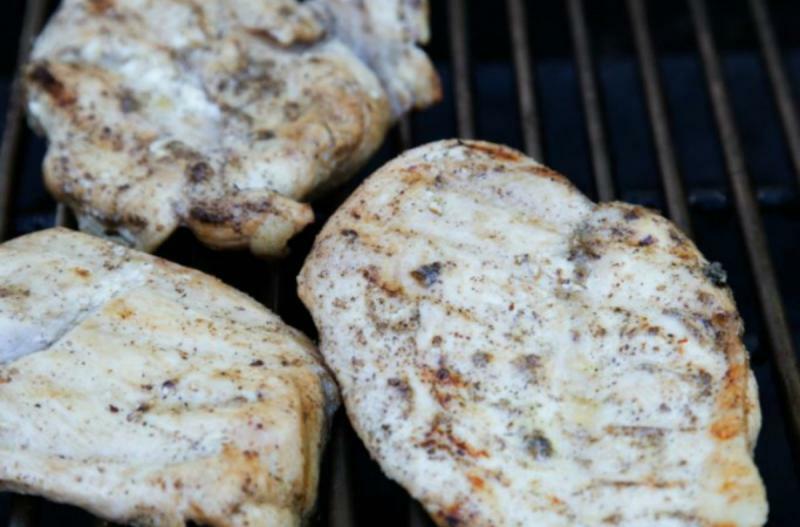 Grill the chicken breasts 5 to 10 minutes per side. Grill baby red potatoes alongside the chicken.